Nancy Pelosi never saw this defeat coming. 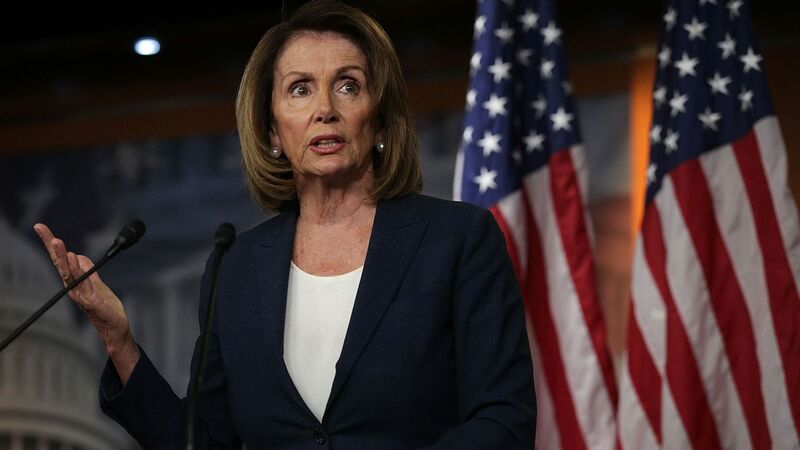 The Speaker of the House was blindsided when Donald Trump turned the fight over funding the border wall back onto the Democrats. And Donald Trump smacked down Pelosi and the Democrats with this career wrecking question. Democrats being entrenched in opposition to fund only 200 miles of border wall fencing may play well with their base, but Americans increasingly see that the left just opposes the wall out of spite. They have no real policy objection to border fencing. Back in 2006, then-Senators Barack Obama and Hillary Clinton, as well as Chuck Schumer, all voted for the Secure Fence Act. That legislation required the government to build nearly 700 miles of border wall. All Trump is asking for is an additional 200 plus miles in order to complete the job. The President is not demanding a 2,000 mile long “sea to shining sea” border wall. All Donald Trump is asking the Democrats to do is support the same legislation they supported back in 2006. So Trump turned it around on Pelosi and her fellow liberals by asking them why they aren’t demanding the current border fencing be torn down since they believe having a wall is so immoral. “If Nancy Pelosi thinks that Walls are “immoral,” why isn’t she requesting that we take down all of the existing Walls between the U.S. and Mexico, even the new ones just built in San Diego at their very strong urging. Let millions of unchecked “strangers” just flow into the U.S.,” Trump tweeted. Trump also called out the Democrats for opposing the wall by stating the simple fact that it does work. Fake news reporters may hate this fact, and they may try to cover it up, but physical barriers cut down on illegal immigration. Part of the existing border wall was constructed in Yuma, Arizona. That physical structure cut down on illegal border crossings by 94 percent according to Congressional testimony from David Aguilar – the former head of Border Patrol. To end the stalemate, Trump also proposed a deal that would extend the current legal protections for DACA and TPS recipients. This is not amnesty, but they are policy objectives Democrats previously supported as well. Pelosi and Schumer rejected this order out of hand. It’s clear that the Democrats objective has nothing to do with negotiations or policy. Their only goal in this fight is to humiliate Donald Trump by forcing him to surrender on his signature campaign promise of building a border wall.